The World’s Most Convenient Home Gym: The Resistance ChairTM Resistance Band Seated Exercise System allows you to do a full body workout from a safe,comfortable seated position. 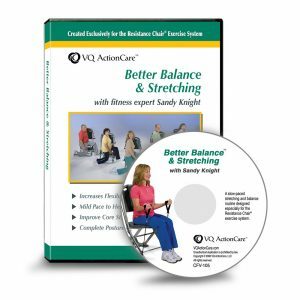 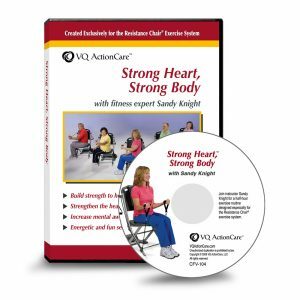 Because you remain seated, you maintain balance and stability as you exercise your arms, chest, shoulders, abdomen, back, and legs. 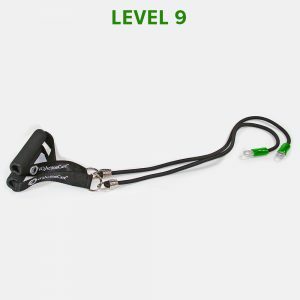 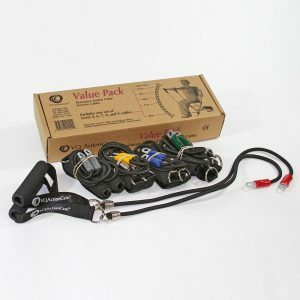 The patented Resistance Anchor Cable™ system offers a wide range of upper body and lower body exercises and provides smooth, low-impact resistance without use of heavy weights. 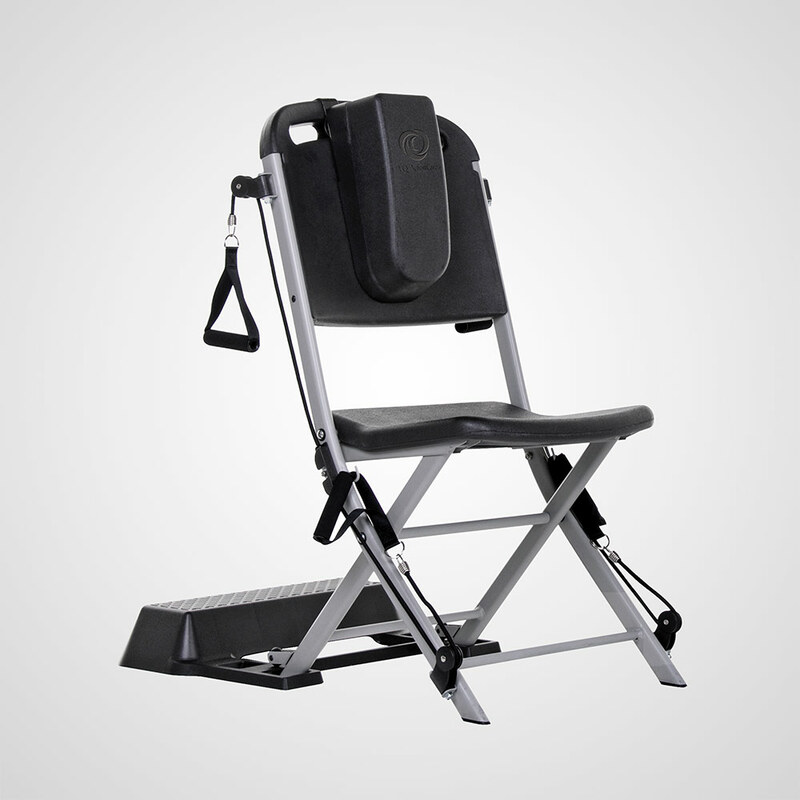 The Resistance Chair system is made of very strong, commercial-grade construction with thick-wall steel tubing. 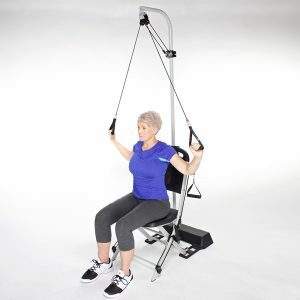 It’s built to withstand frequent use in gyms and rehab centers and has been tested to easily hold up to 400 pounds. 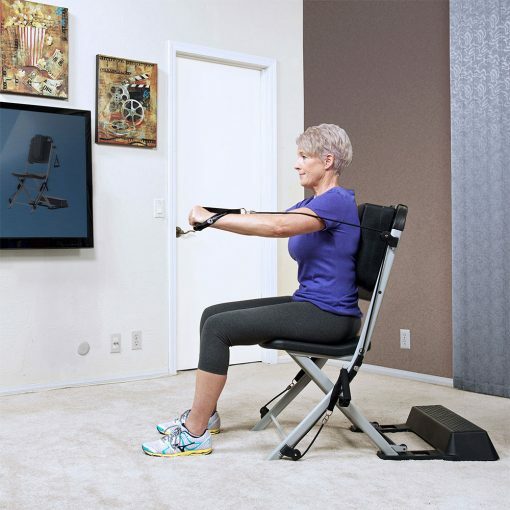 Bought it for our physical therapy office. 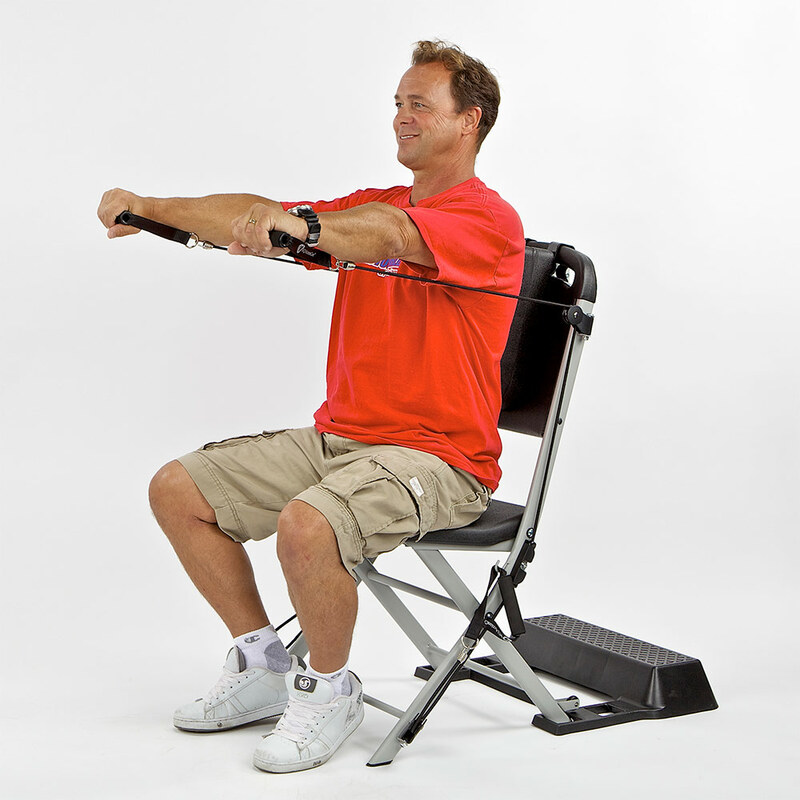 Excellent upper back support and the shoulder exercises are much easier for patients to do. 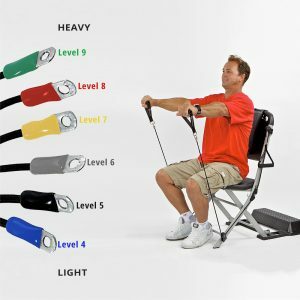 The tubing is a little too strong for someone who had shoulder surgery done but should provide a good resistance for typical person trying to get a good workout. 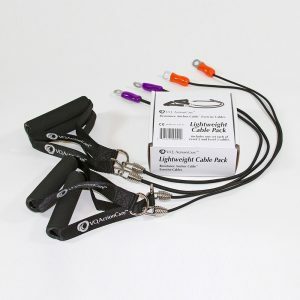 We use the chair with lighter tubing. If this was sold as a medical device I can see it go for over $1000. Highly recommended. 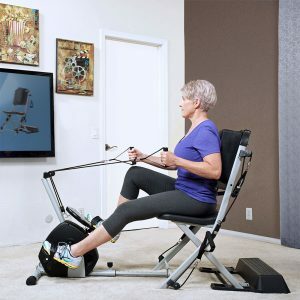 I have been using the Resistance Chair Exercise System for 3+ years on a daily basis with my pulmonary rehabilitation patients and I couldn’t be more pleased and satisfied with it. The Resistance Chair allows me to offer my patients a varied workout specific to their needs and abilities. 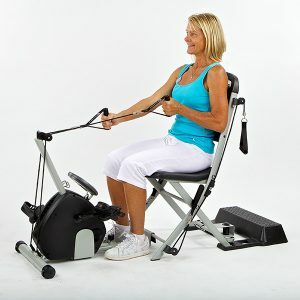 With the addition of the Freedom Flex and cycle attachments, an even more varied exercise regime can be attained. The quality of the chair is excellent; it stands up to the rigors of everyday use. I highly recommend the Resistance Chair Exercise System for personal as well as professional use.